SKU: SKU22698 Categories: Other, Specials Brands: FaceFull. Now you can see where paintball began and how it evolved into what it is today. The new Paintball Book written by Facefull chronicles the history of Paintball from the beginning. 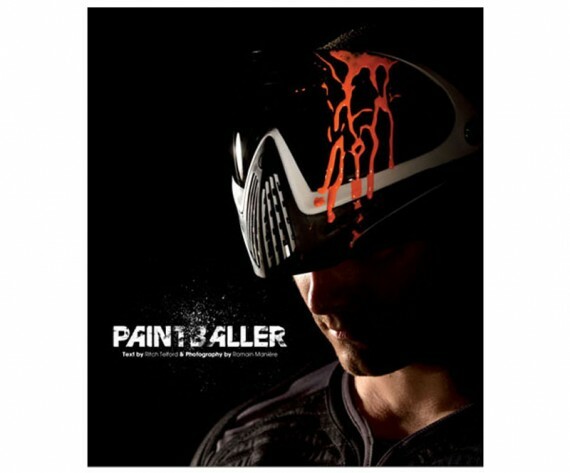 Facefull has been a leader in paintball media for many years and they have done a masterpiece witht he new Paintball Book. Hands down a beautiful book that will really be appreciated by Paintball enthusiasts the world over. They have made this book with one idea in mind: to legitimize the sport since its beginning and to explain the process and creation of the actiual game. This is a book that you can give to someone who appreciates the sport, and to explain what paintball is to friends and family. Anybody who has played tournaments between 1995 and 2012, can identify and will have an awesome time going through this. The game: A dissection of the game. Every moment of a paintball game is focused, from walking the field to victory. The players: A selection of 20 emblematic players. The teams: All the biggest teams that have dominate the tournaments over the years. The faces: People who live for paintball. Paintball life: living the tournament life.